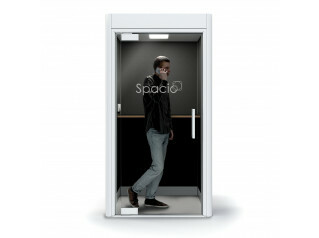 Spacio Mini Phone Booth is a new smaller footprint single user privacy call booth for the office. 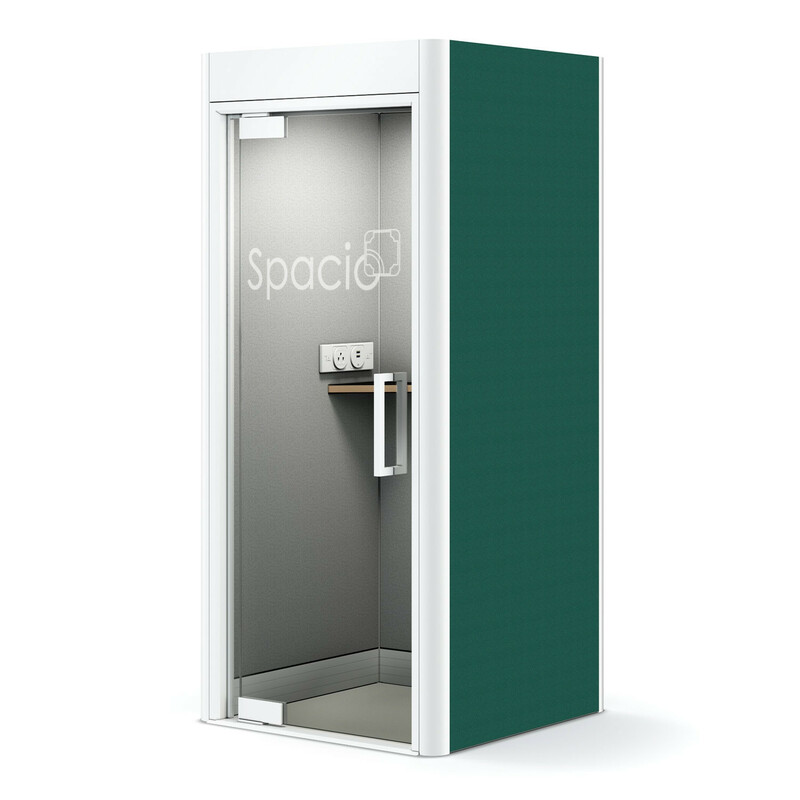 This mini booth is compact, taking only 1016 x 1016mm square and is still acoustically lined, providing a private escape from office noise. 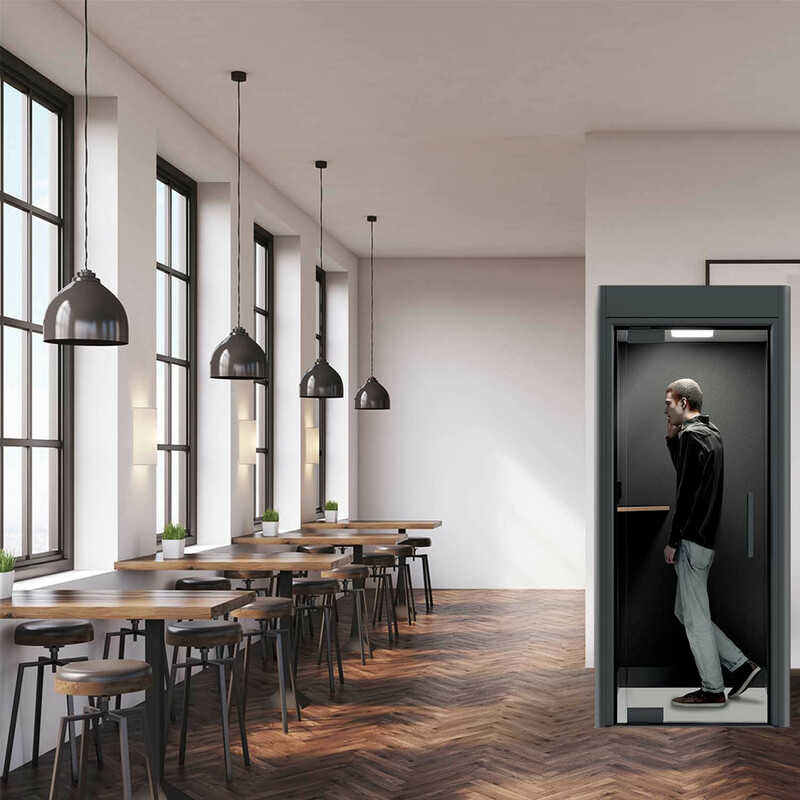 It provides office staff a retreat hold quick private telephone calls at any time, no matter how busy the surrounding work area may be. 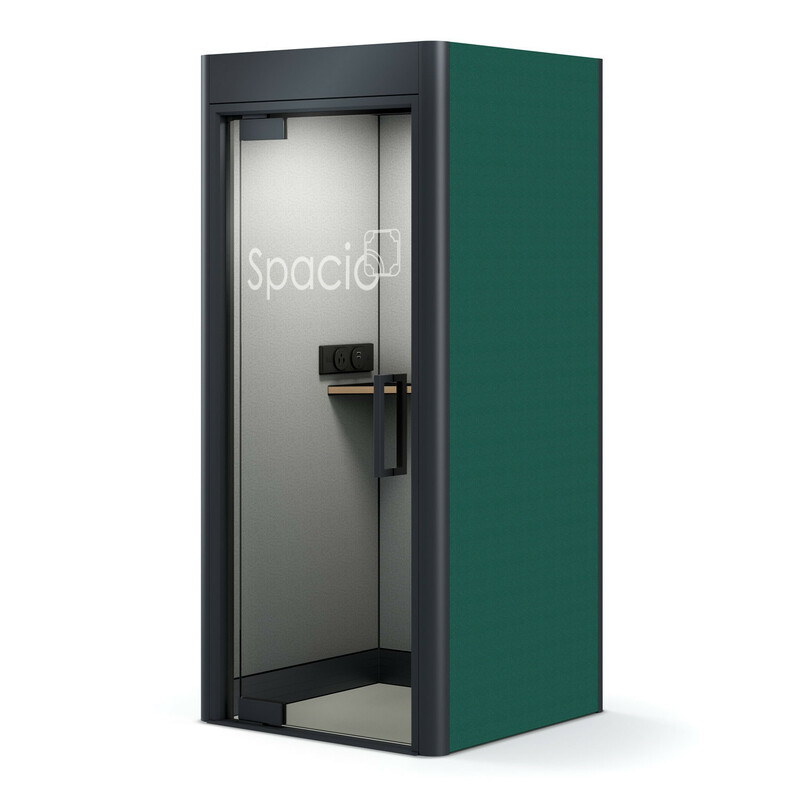 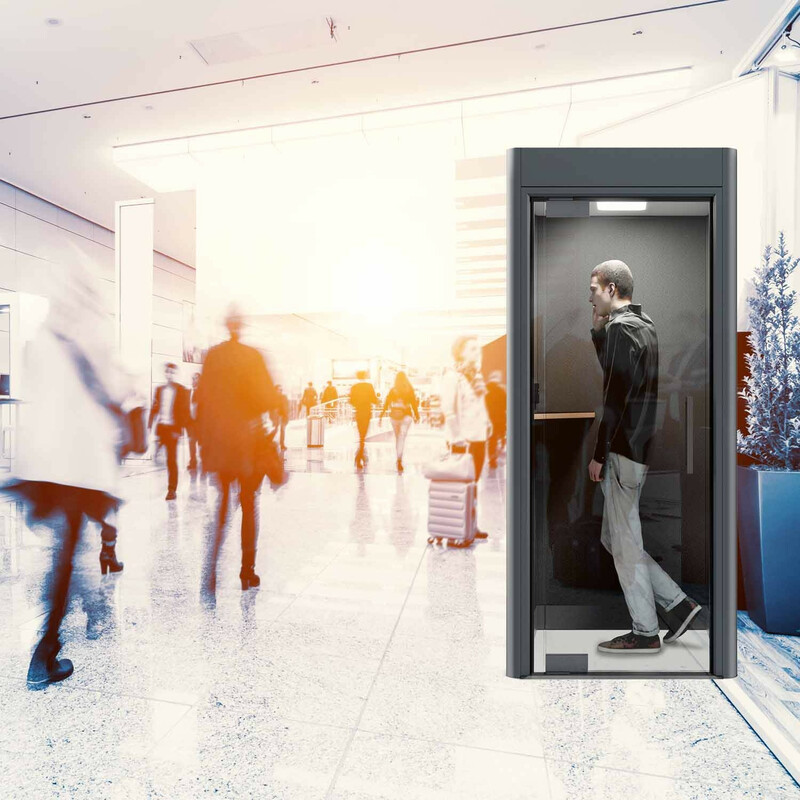 Spacio Mini Phone Booth offers a hydraulically closing door, quietly sealing behind you it protects you from distracting sounds, meaning concentration levels are significantly increased. 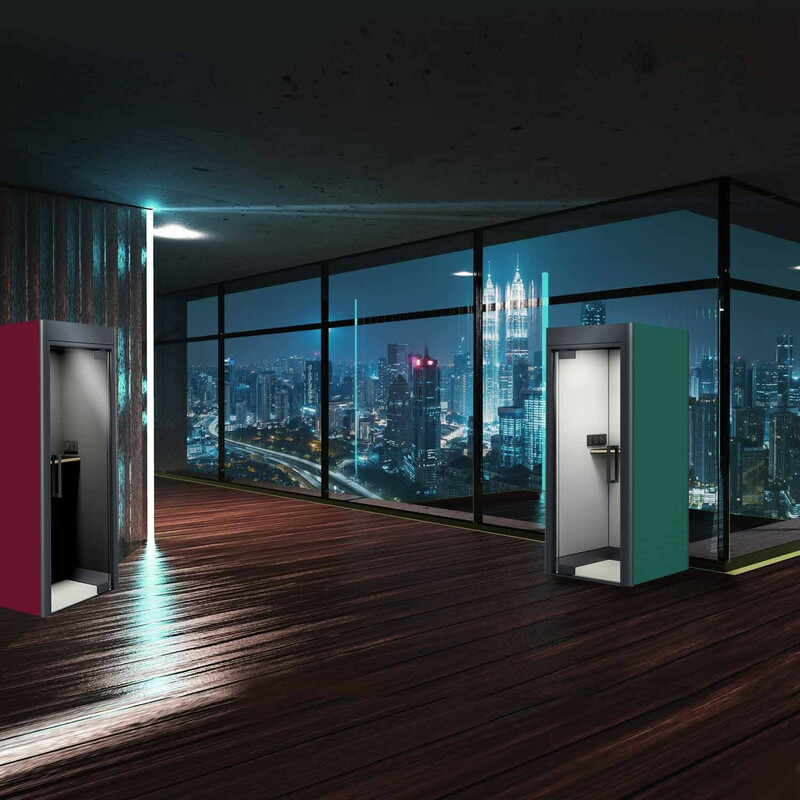 Spacio Phone Booths now offer two standard external frame finishes to choose from, namely Galaxy Dark and Comet Ice. 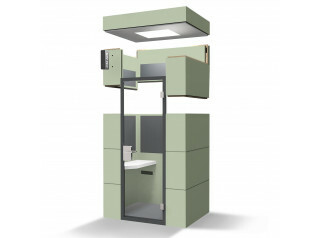 For the booth’s internal upholstery there are a standard range of fabric options available. 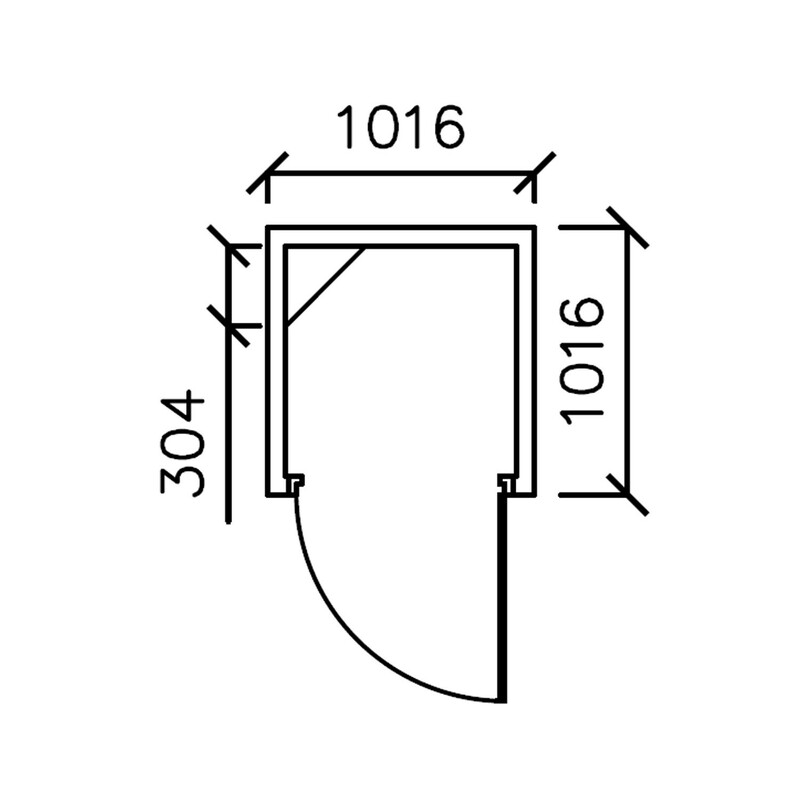 View more from Apres Furniture. 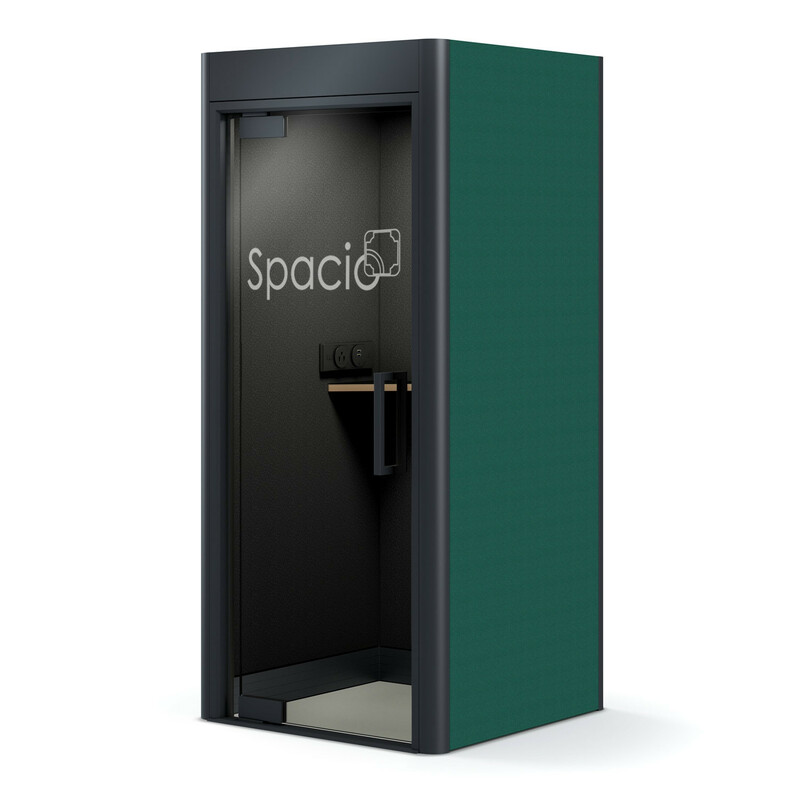 You are requesting a price for the "Spacio Mini Phone Booth"
To create a new project and add "Spacio Mini Phone Booth" to it please click the button below. 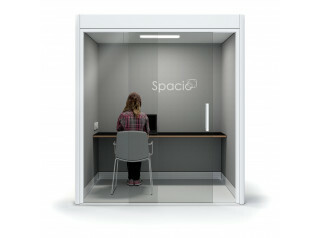 To add "Spacio Mini Phone Booth" to an existing project please select below.